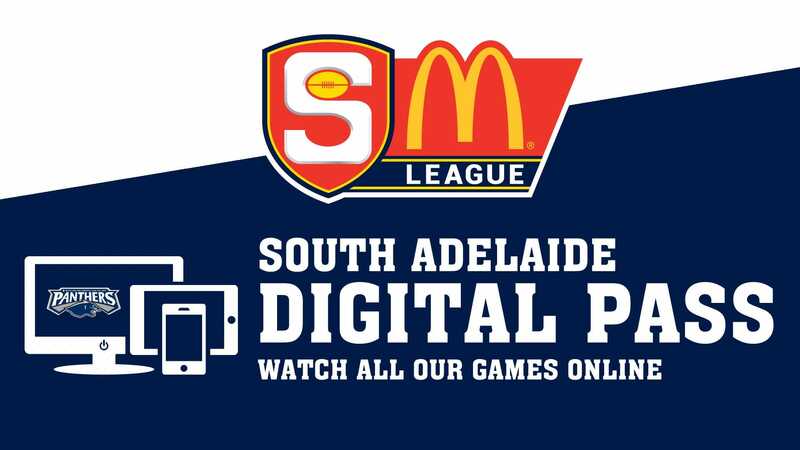 South Adelaide claimed a four-point victory over Norwood at the Parade thanks to some last minute heroics from dual Magarey Medallist Joel Cross on Friday night. Cross may have been the hero, after slotting what would prove to be the match winning goal with less than a minute left, but it was the collective that were the stars, as the Panthers grinded out a win that Norwood made them fight every inch for. The Panthers defensive pressure was imense in the first half, as they held Norwood's on ball brigade accountable and often forced them to slowly chip the ball around in search of an avenue for goal. As the first half wore on, South tackling and pressure on the ball carrier continued to worry the Redlegs into mistakes. Meanwhile, South were able to move the ball around with much more poise and deliberate execution and quickly shot out to a 26-point lead. However, Norwood would not roll over and did challenge the Panthers on several occassions. The hosts finished the second term with four unanswered goals and clawed themselves to within two points at the major break. The third quarter was equally hard fought, with both sides trading scores before two goals to 50-gamer Ben Haren gave Garry Hocking's men some breathing room. Again, Norwood would answer and only nine points would seperate the sides at the final break. The Redlegs made their biggest run in the final stanza, opening the final term with two goals in five minutes and claiming their first lead since late in the first quarter. Soon after the heavens opened and it became evident goals would become more and more difficult to come by. It would take something special for South Adelaide to reclaim the lead, but something special is what first-gamer Matt Raitt would delivier. Roving the ball off the back of the pack in the southern pocket, Raitt gathered the ball and snapped a bending right-footer that sailed over the goal umpires head and pushed the Panthers back into the lead. With the visitors holding a five-point lead and only minutes remaining the intensity of the contest lifted again. The teams would wrestle for control of the footy for several minutes before play would stop for a ball up in Norwood's forward 50. As the rucks clashed, Daniel Bass was whistled for infringing Sam Baulderstone's run at the ball and the Redlegs would have their chance to steal the lead from 40m out directly in front. Fortunately, Baulderstone would venture to close to the mark and his half-smothered shot would only fly as far as the front of the goal square. However, Nick Liddle's clearing snap would sail into the arms of an unmarked Anthony Wilson, who handballed off to an unmarked Patrick Levicki who in turn hammered Norwood back into the lead from 55m out. With 21 minutes gone in the last quarter and the conditions deteriorating it would again take something special for South Adelaide to leave the Parade with the two points. The teams desperately battled for possession following Levicki's goal, before eventually settling for a ball up inside the centre square. Codey Ellison punched the ball forward, as did Adam Hunter, before it landed in front of the charging Cross, who gathered the ball in stride at the 50m line, side stepped his opponent and squeezed out a shot on goal past the outstretched arms of no other than Levicki. It wobbled, it floated, but most importantly it sailed through the goals and secured the win for South Adelaide. Brede Seccull (24 possessions, 11 tackles and a goal) and Xavier Gotch were the heavy movers in South Adelaide's engine room, providing plenty of tackling pressure around the stoppages and also finding plenty of the ball themselves. 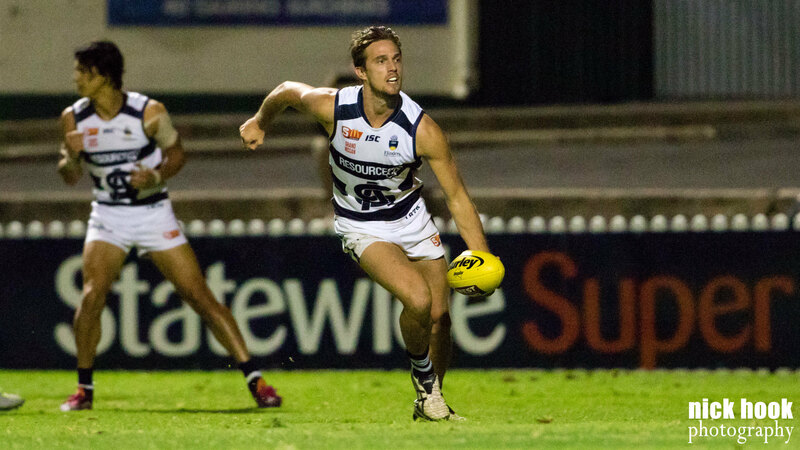 In his 50th SANFL game, Ben Haren was the Panthers most lively forward, slotting three goals from his 11 touches. Meanwhile, Cross delivered another typically well-rounded performance, while Luke Durdin was a solid in defence and Nic Schwarz was lively around the ground with 20 disposals, five tackles and a goal. The Panthers now enjoy an eight day break before returning to Hickinbotham Oval to face North Adelaide from 2:10pm, Sunday, May 7. Want to re-live the winning feeling from Round 4? South Adelaide's Reserves fell to a 75-point loss to Norwood at Coopers Stadium on Friday night. The Panthers were competitive for the first half and only found themselves trailing by 23 points at the major break. However, a dominant third quarter from Norwood, where the hosts would kick 6.6 to 1.0, set the tone for the rest of the match and all but sealed the victory. Best for South Adelaide was Richard Newell, who amassed a game-high 36 possessions and kicked a goal. Alex Moyle (18 touches and seven tackles) was also busy for the visitors, while big American Alex Aurrichio continued to throw his weight around at the stoppages as he laid a team-high eight tackles. South Adelaide also welcomed new recruit Nick Mott back for his first game of the season and he proved to be their most dangerous forward, finishing with two majors. The Reserves will next be in action against North Adelaide from 11:25am, Sunday May 7 at Hickinbotham Oval. 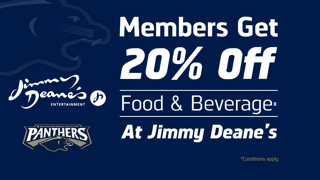 Did you know Members get 20% off at Jimmy Deane's!